Meet the Marine Kettle 3: a stove, gas grill, and portable propane oven that uses radiant and convection cooking to get the job done. 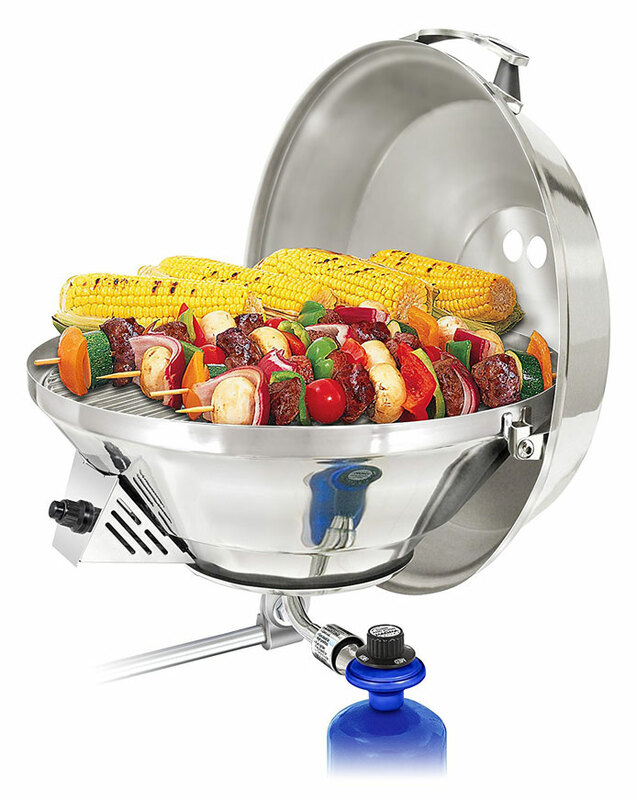 It has a stainless steel inner safety shell and efficient heat distribution design. The Marine Kettle 3 comes with a waterproof electric ignition system. This is available in 15″ and 17″ versions. More information is available here.